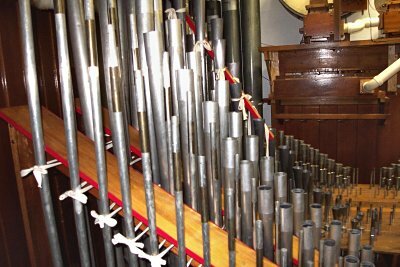 This month's featured organ is the Ben Hall Memorial 2/11 Mighty WurliTzer Theatre Pipe Organ installed at the Lafayette Theatre in Suffern, New York. 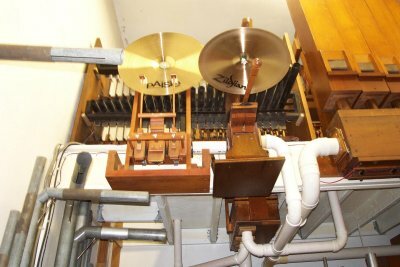 It is the fifty-second instrument to be featured at Walnut Hill. Much of the content in this article was provided by Walnut Hill Wall of Fame member and Featured Artist, Eugene Hayek, who gave us the idea for the feature. 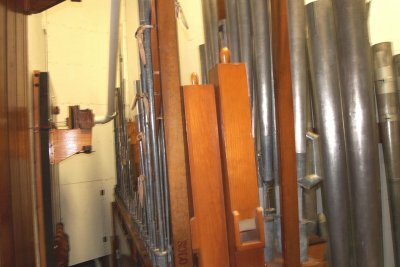 The story of the Lafayette Theatre's Ben Hall Memorial 2/11 Mighty WurliTzer Theatre Pipe Organ reads more like an old melodrama than the story of a pipe organ. 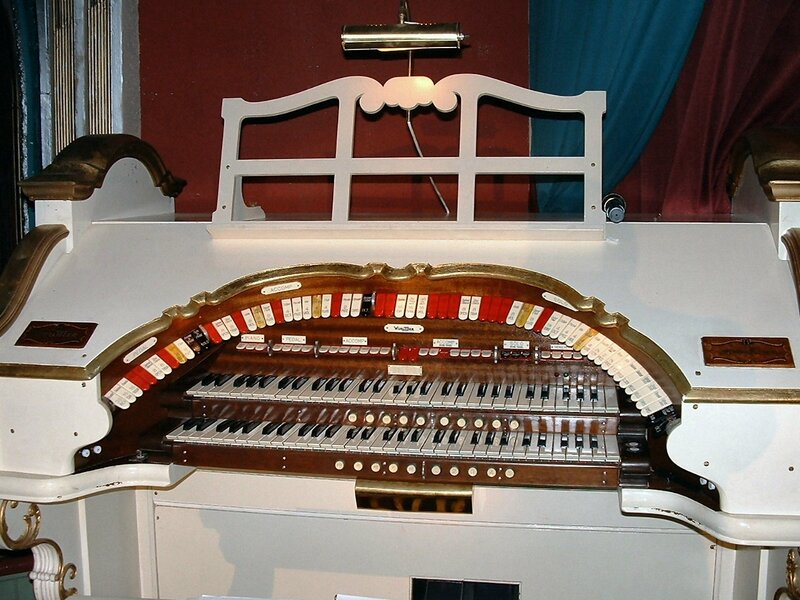 Wurlitzer Opus 2095 left the WurliTzer factory on January 31, 1931 and was installed in the Lawler Theatre in Greenfield Massachusetts. 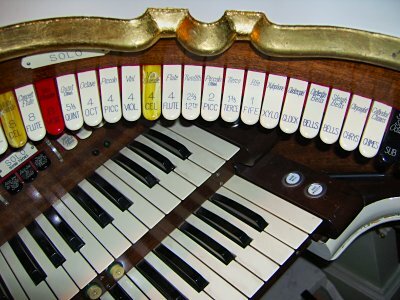 It was the last Style 150 (2 manuals and 5 ranks) that WurliTzer built. Like so many small town movie theatres in the `50's and `60's, the Lawler was closed for demolition. 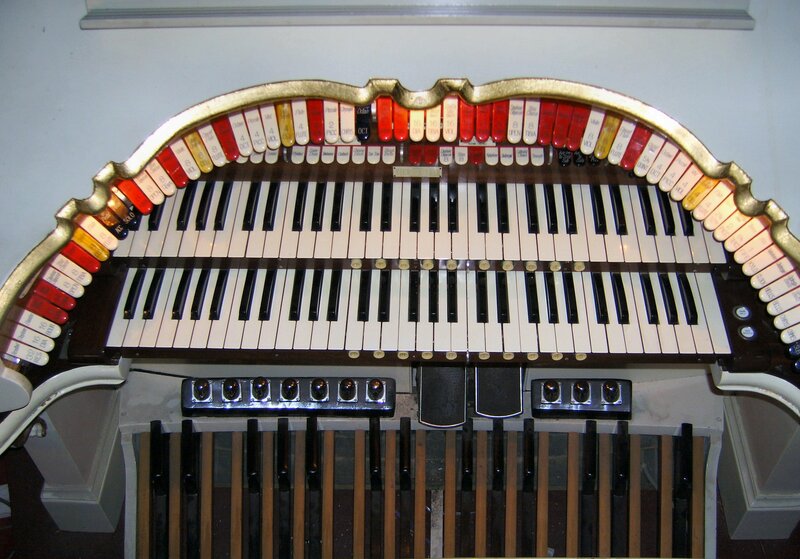 The organ was removed from the Lawler, and installed in the Rainbow Roller Rink in South Deerfield, Mass, where it was rarely used. Enter Ben Hall, noted theatre historian and film critic. The owners of the rink sold it to Ben, and he, with the help of some friends, removed it during the Blizzard of `68. 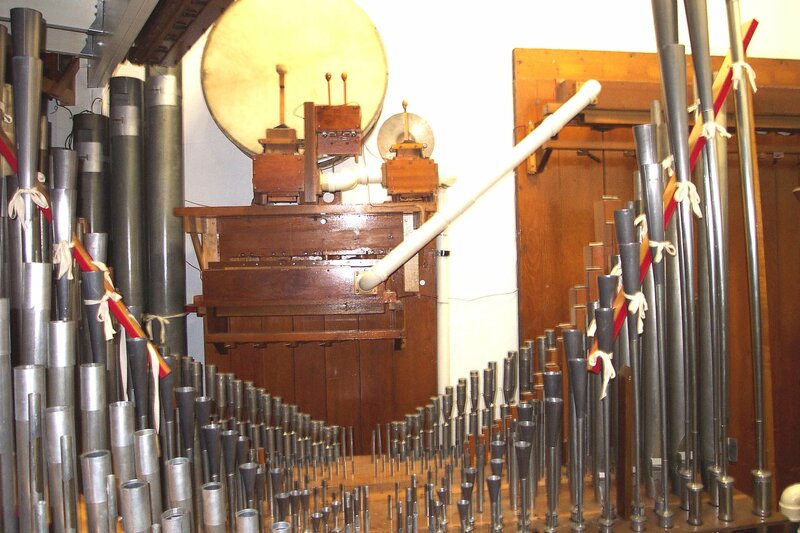 Ben Hall installed it in his New York City duplex - everything (pipes, percussions, the console, blower) went up two flights of stairs by hand. Tragically, Ben died in 1971 and the organ was once again "orphaned." Enter the American Theatre Organ Society. 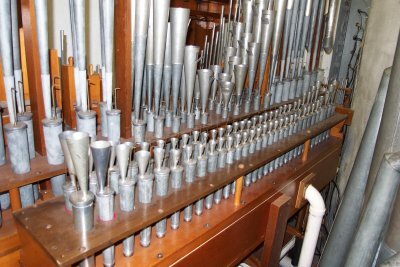 When the estate of Ben Hall gave the organ to the ATOS, the organ was packed up and shipped to California, where it was to be installed in the late Harold Lloyd Estate (a museum to the silent film). 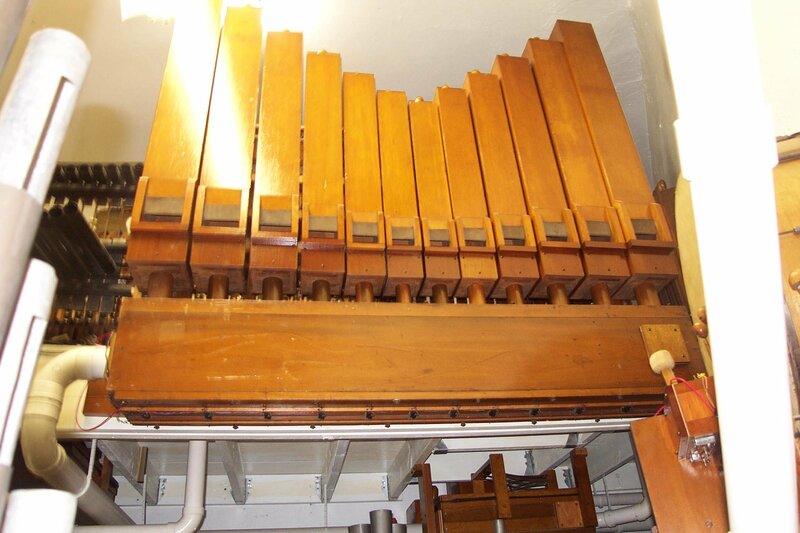 Unfortunately, the plans for the museum fell through and the organ was shipped back to New York City where the New York Theatre Organ Society installed it in the Carnegie Hall Cinema. WurliTzer Opus 2095 played in the Carnegie Hall Cinema for over ten years until the restoration of Carnegie Hall. 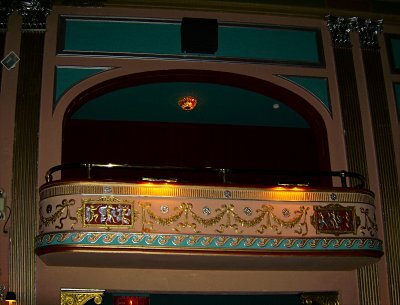 During restoration, the Carnegie Hall Cinema was twinned. Again the organ was homeless! 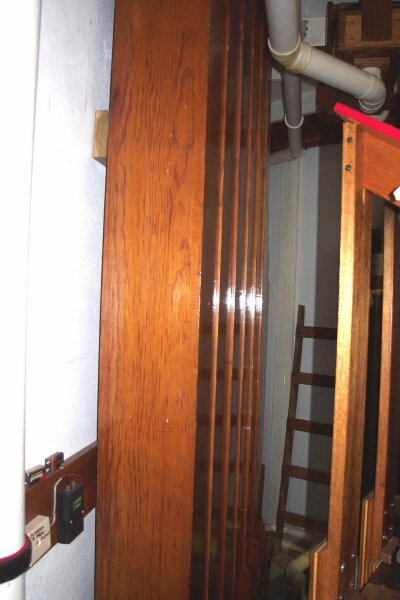 It was removed and placed in storage by NYTOS members. Swell Shoes and Toe Studs. Enter Al Venturini and the Lafayette Theatre. 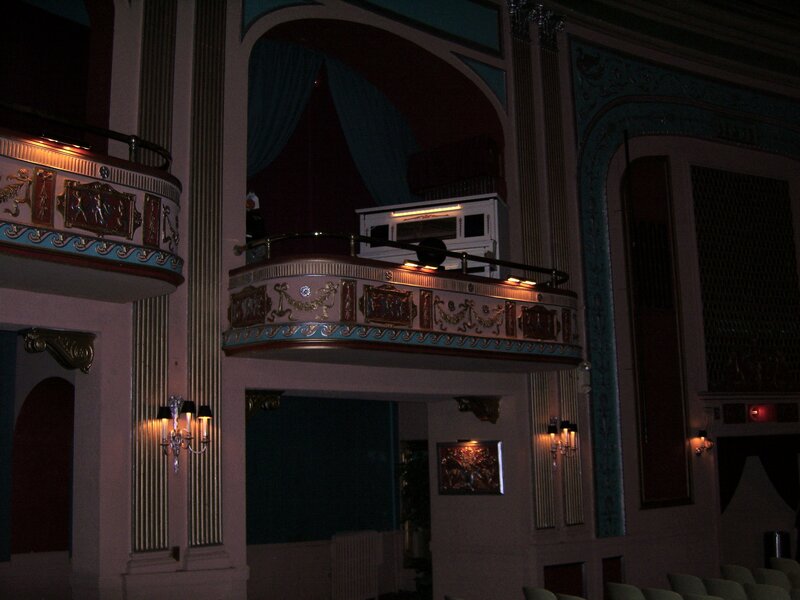 When Al Venturini and the Good Samaritan Hospital began working together to fix up the Lafayette Theatre, Dave Kopp, then chairman of NYTOS, contacted Al about the possibility of installing the organ. 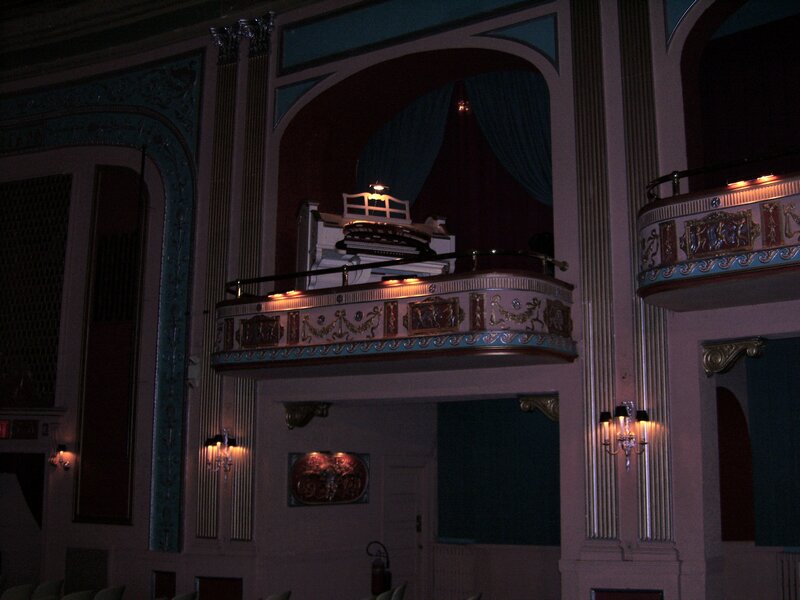 Everyone agreed that the Lafayette Theatre was an ideal place for the organ. Work was begun in November 1990,and after countless hours of labor by the volunteer crew and nearly $20,000 in donated funds, the organ was reborn. 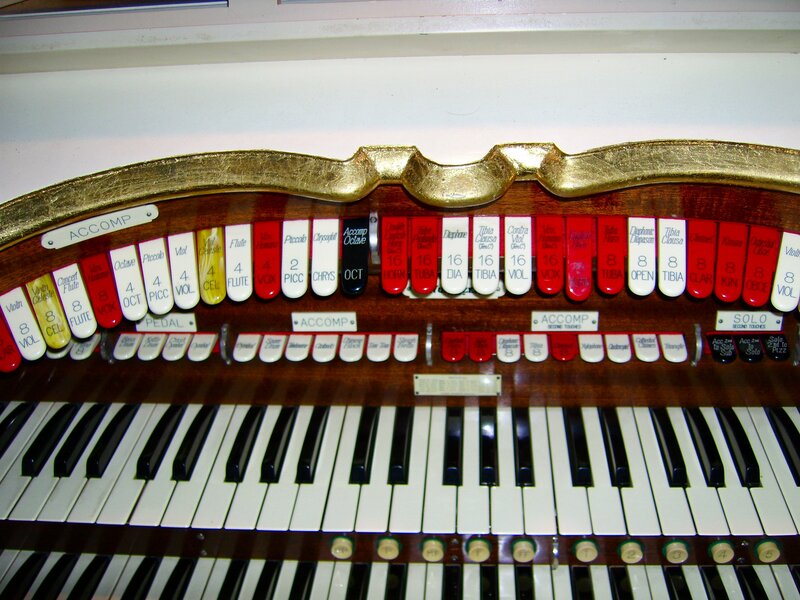 WurliTzer Opus 2095 played for the first time in its new home in December 1992. Since then, it has been entertaining the weekend audiences at the Lafayette Theatre in the grand tradition of the American Theatre Organ. The Ben Hall Memorial 2/11 Mighty WurliTzer has all its pipes in a single chamber on the left side of the stage. The acoustics of the auditorium scatter the sound very well, and the bass tones are thick, rich and warm. Voicing on this instrument is superb. It is one of those small organs that sounds like a giant. On the left, Tibia offest, on the right, String and Reed ranks. Here, we see the sixteen foot Tibia offest in the image on the left and the Strings in the image on the right. The Strings are very well defined, and the celestes are just right, not being too heavy in the detuning. 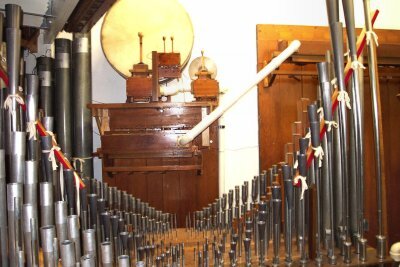 This organ has many tuned and untuned percussions and various toys that allow full accompaniment of silent movies giving a complete array of sound effects and rhythm instruments. Here, we see one of the regulators that control wind pressure in the chests. 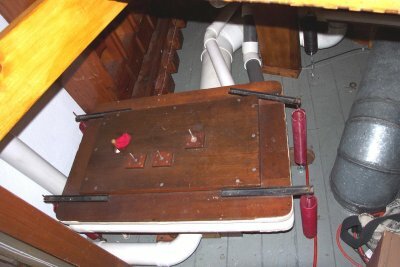 This box of wood has valves inside that act against the spring loaded lid to keep air flow even as notes are played. Eight foot Tibias and tall Reeds. Here, we see the eight foot Tibias and behind those, the Tuba. One of the best sounding Tubas ever heard on a small organ, this rank has unlimited low end with a very noice harmonic tone. Bottom octave of the eight foot Tibia. Here, we see the bottom octave of the eight foot Tibia. This rank has a lovely breathy tone with thick fundamentals, generating the very haert of this wonderful organ's sound. Here, we see the tall boys in the Tuba rank. 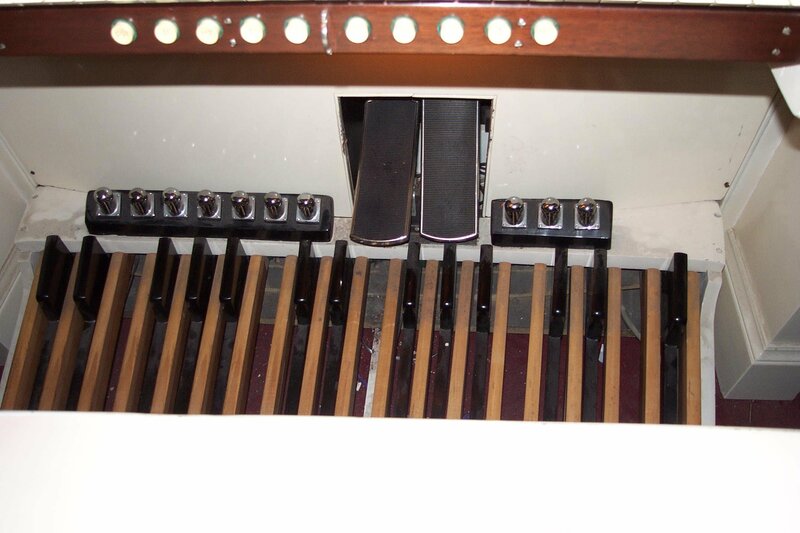 This is perhaps one of the most useful stops on a Theatre Pipe Organ, found not only in the Pedal, where it adds thunderous bass, but also in the manuals where it can sound like any number of horns depending on the octave played. Here, we see that rank of pipes that give the Mighty WurliTzer its fire, the English Post Horn. This is the loudest solo voice on the instrument, and can sound like the regal trumpets that herald in the King to his castle. In front of the Post Horn is the voice that makes you happy, the short little Kinera, that tiny cheeky tone that is used during the funny parts of a silent movie. The Strings are what give the Theatre Pipe Organ that lush symphonic tone that is remeniscent of 1001 violins. In the picure above, we see some of these pipes with the Post Horn behind them. 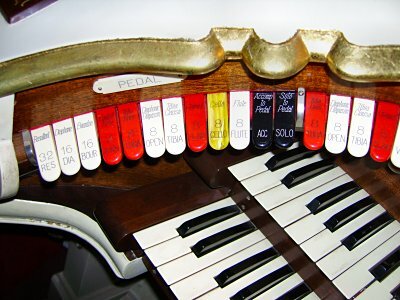 Properly used, they make the organ sound like an orchestra. Here, we are looking across the short boys of the Reed ranks with the Percussions beyond. You can clearly see the rearmost rank of Reeds, the angelic chorus known as the Vox Humana, the human voice. When the Vox and Strngs are drawn together, the sound is cosmicly stellar, bringing a mood of wonder and amazement to the silent film. These boards seen in the picture above control electrical current that opens and closes the valves under the pipes. 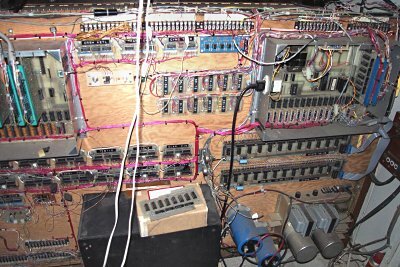 They are connected to a system of circuits called the relay, which takes signals from the console and routs the stops drawn and notes played to the appropriate pipes. 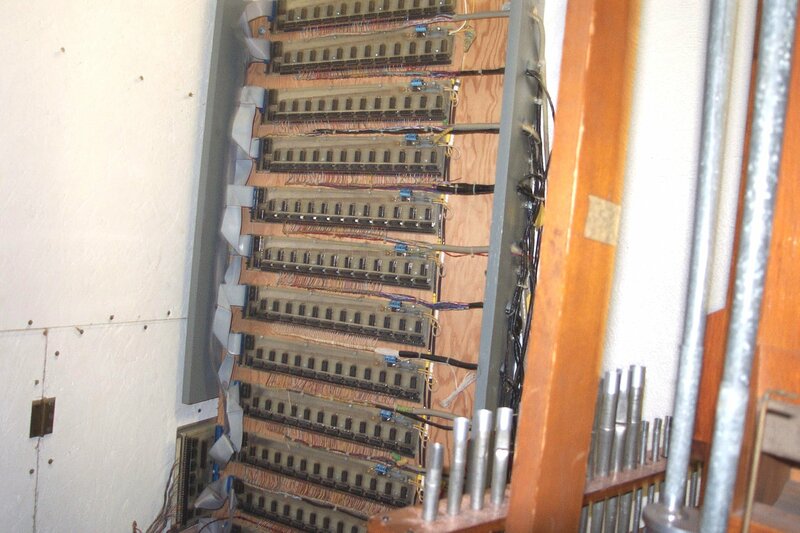 This is the very heart of the organ, the nerve center and brain that makes it all work. 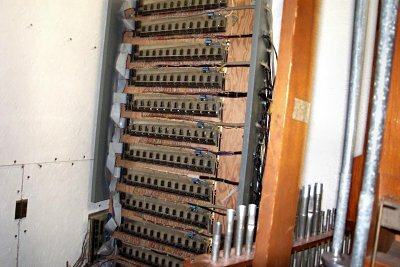 The relay takes signals from the stops and keys, sending them to the pipe driver boards to turn on the ranks and play the pipes. 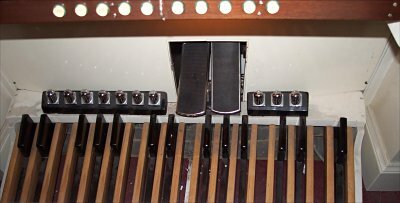 It connects the organist to the organ. This job, performed by solid-state electronics, used to be handled by much larger electrophnuematic devices. Entrance to the Lafayette Theatre. 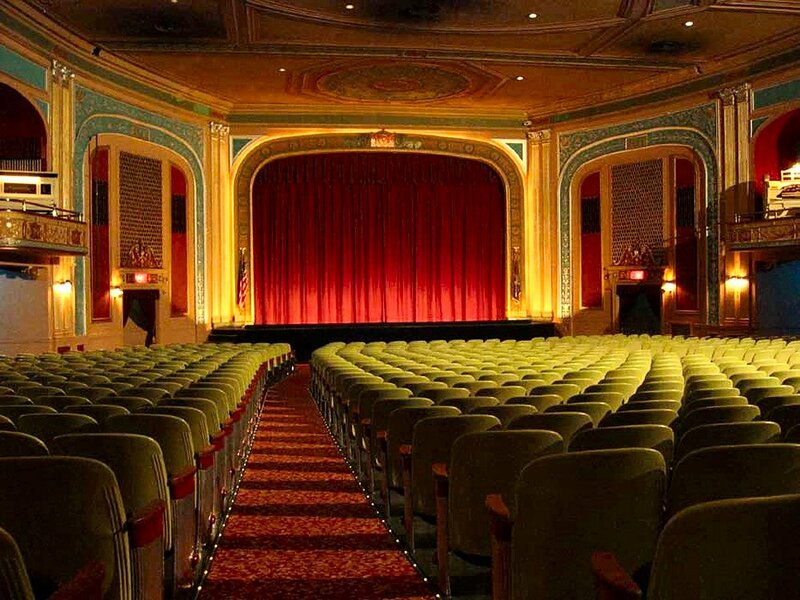 The Lafayette Theatre in Suffern, New York, which just celebrated its 80th anniversary restored and renovated, is in many ways better than ever. 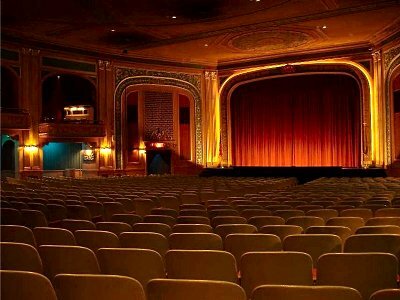 Operated by Galaxy Theatres with first-run offerings, it gets raves for its Big Screen Classics on Saturday mornings, which include a pre-show Mighty WurliTzer Theatre Pipe Organ concert, all for a mere six dollar admission. 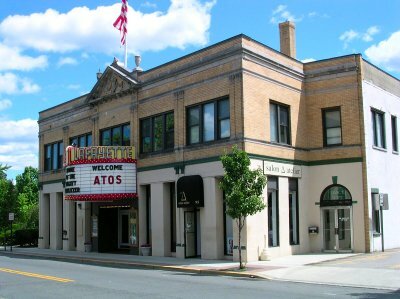 The history of the Lafayette Theatre, named for the Revolutionary war hero, the Marquis de Lafayette, began when the Suffern Amusement Company hired noted theatre architect Eugene De Rosa to design a theatre for a location on Lafayette Avenue in downtown Suffern, New York. Front doors of the Lafayette Theatre. De Rosa's concept was a combination of French and Italian Renaissance influences, subtlety mixed in a "Beaux Arts" style. 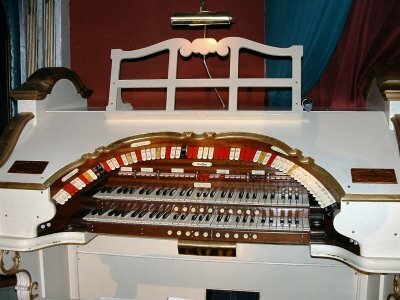 The theatre was also equipped with a custom-designed Möller organ to accompany silent films and augment live performances. Consession stand of the Lafayette Theatre. 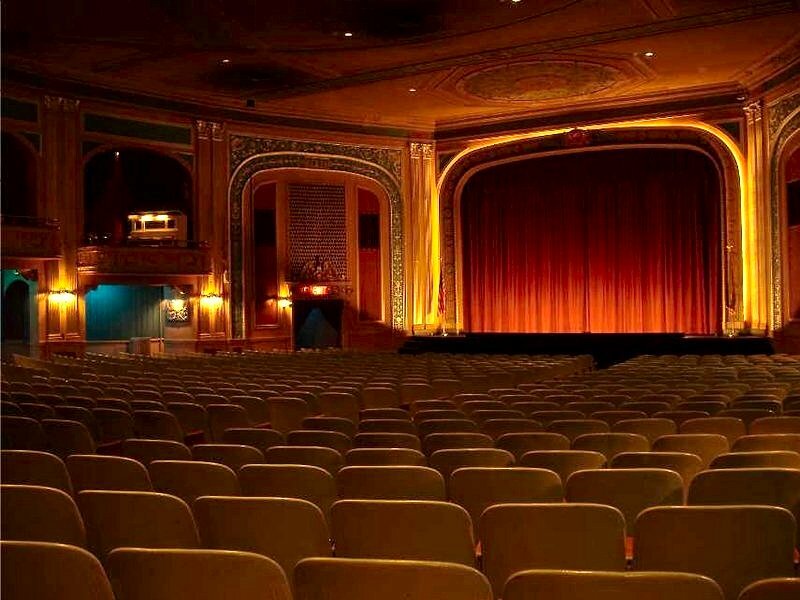 The Lafayette opened its doors in 1924 with the silent film classic Scaramouche and flourished through the rest of the 1920s with a combination of live vaudeville shows and film presentations. 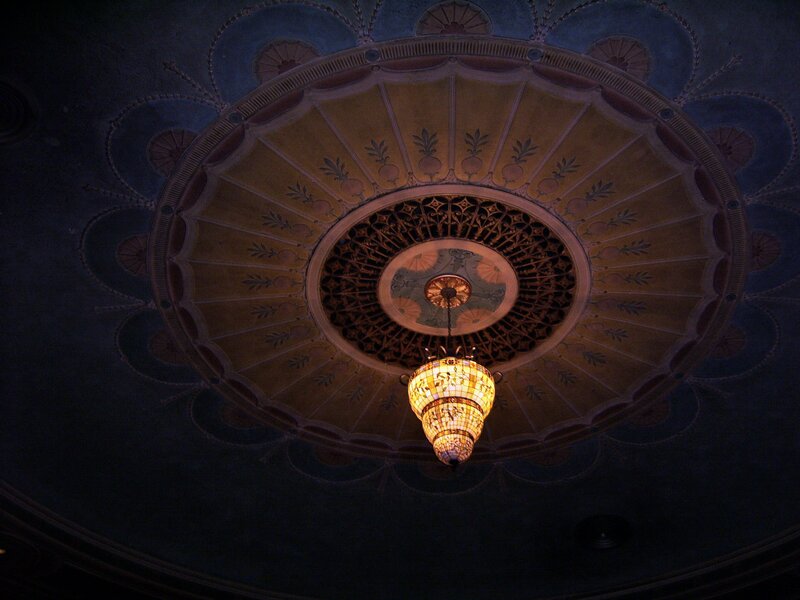 Auditorium of the Lafayette Theatre. 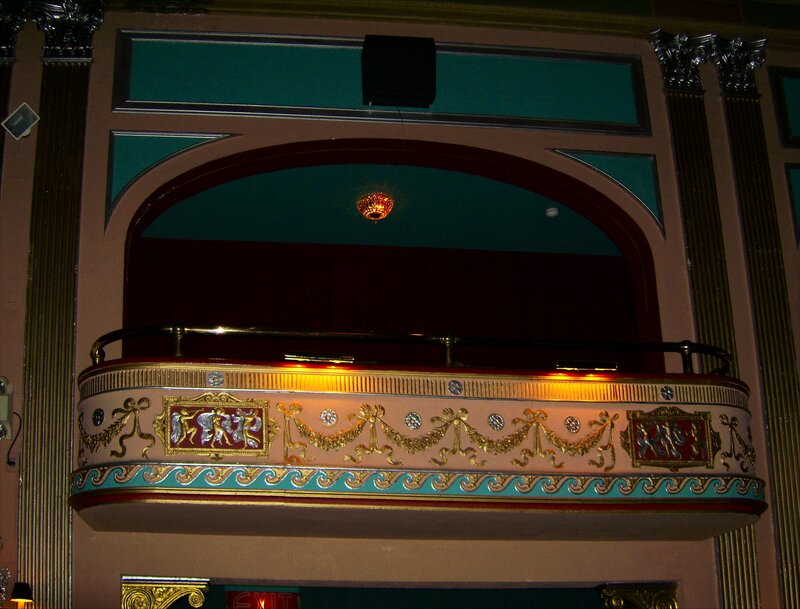 A renovation in 1927 added the distinctive opera boxes and shortly thereafter the projection equipment was updated to play the new miracle called "Talking Pictures". 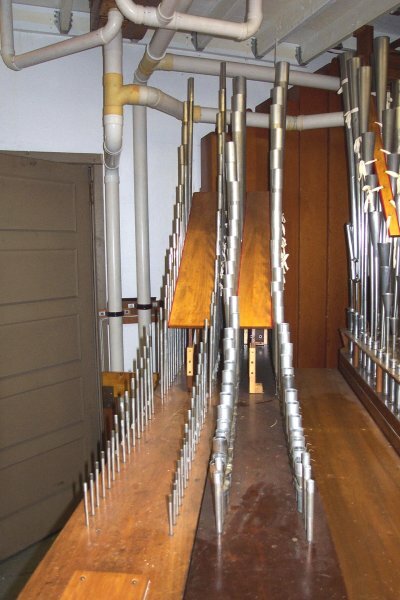 During the mid-1930s, an air-cooling system was installed which, unfortunately, forced the removal of the pipe organ. It was during this renovation that the original chandelier was also removed. An opera box in the auditorium of the Lafayette Theatre. After World War II ended, movie-going habits changed with the advent of television. 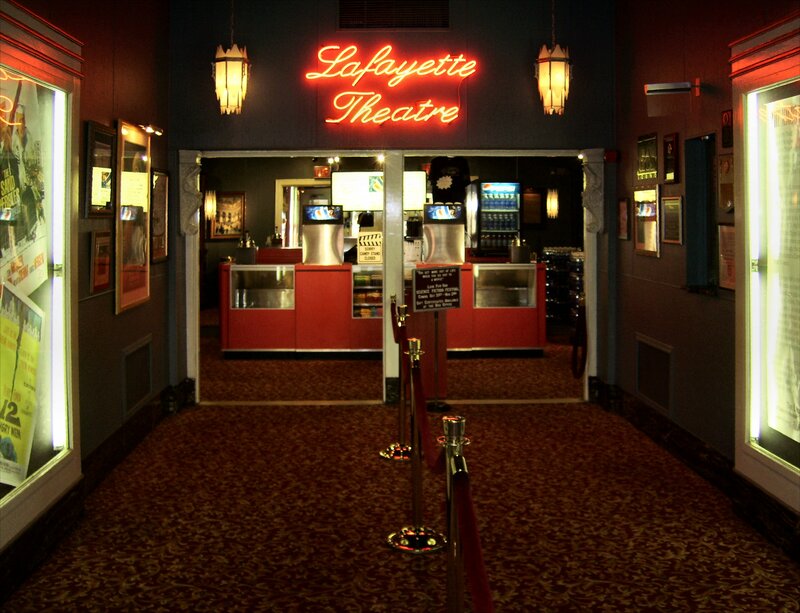 To keep pace with audience expectations, the Lafayette changed, too. 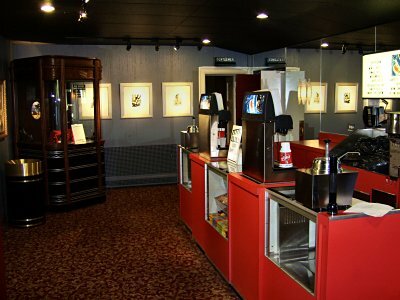 Equipment to handle 3-D films was installed in early 1953 and many notable entries in the short-lived 3-D boom played at the Lafayette. The left side of the auditorium. 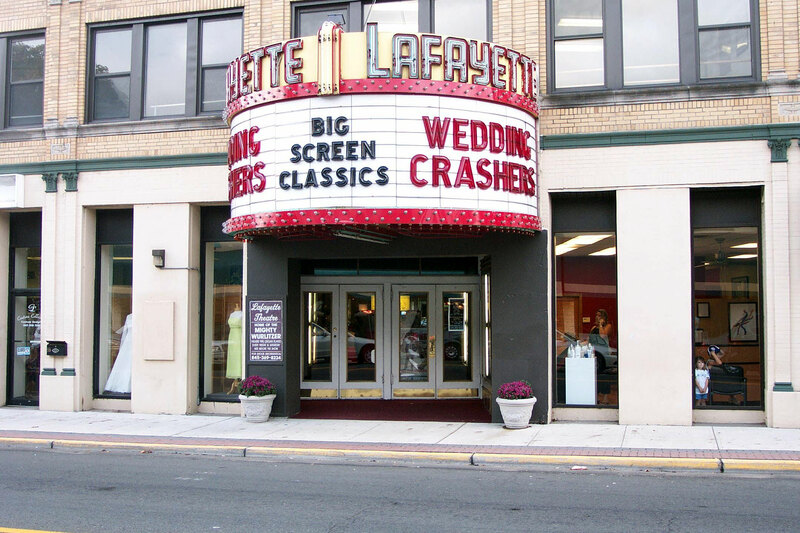 Later that year, the Lafayette was the first theatre in Rockland County to install CinemaScope apparatus to show widescreen, stereophonic sound movies. The premiere engagement was the Biblical epic The Robe, during the Christmas holiday of 1953, and audiences flocked to the Lafayette to see it in the new widescreen process, modestly known as "The Miracle You See Without Glasses!" 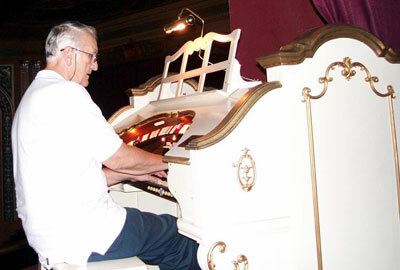 Mighty WurliTzer of the Lafayette Theatre. 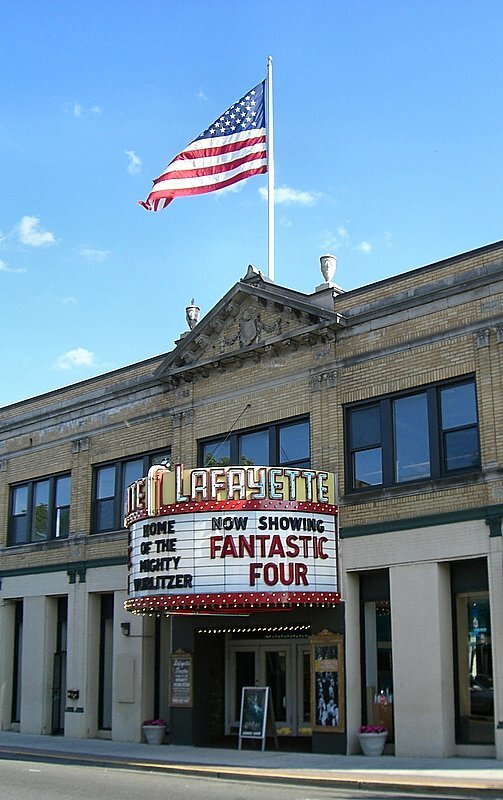 The Lafayette's star faded during the 1950s and 1960s as downtown populations moved further into the suburbs and television took hold as the popular entertainment medium of the day. Luckily, the Lafayette was spared both the wrecking ball and the multiplexing boom, where large single-screen auditoriums were divided up into several small theatres to accommodate playing several films at once. The auditorium at floor level. 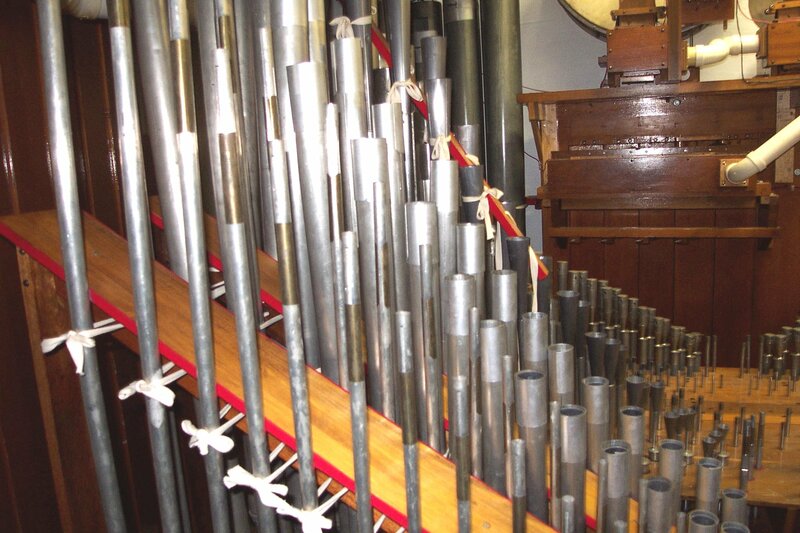 As part of a minor renovation in the late 1980s, the old stage was refurbished and the New York Theatre Organ Society installed a new Theatre Pipe Organ, the Ben Hall Memorial 2/11 Mighty WurliTzer. 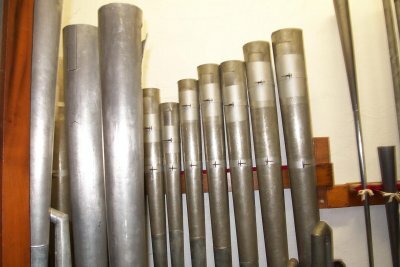 For more information about the organ, please visit www.nytos.org. 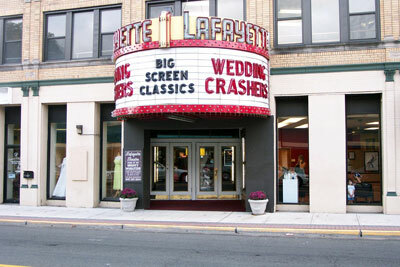 In the late 1990s, the Lafayette's future as a single-screen neighborhood movie palace was uncertain until Robert Benmosche, a resident of Suffern and chairman of MetLife Insurance, saw the potential of the Lafayette building and purchased the property in 2001, making repairs to the roof and exterior in order to prevent more serious damage from occurring. Right side of the auditorium. Late in 2002, New Jersey theatre operator Nelson Page took a lease to operate the Lafayette Theatre as a single-screen movie theatre, erasing any lingering fears that the unique building would be converted to small auditoriums. of the Upright Piano Lafayette Theatre. Page's team began immediately to refurbish the interior of the theatre, spending considerable sums to bring back its luxurious pre-war style while investing it with modern projection equipment and concession areas. Ceiling of the Lafayette Theatre. In September of 2003, a chandelier was hoisted to the ceiling of the Lafayette, the first time an ornate lighting fixture had been there since the 1930s, and it was a final signal of the rebirth and continued good health of Suffern's downtown treasure. 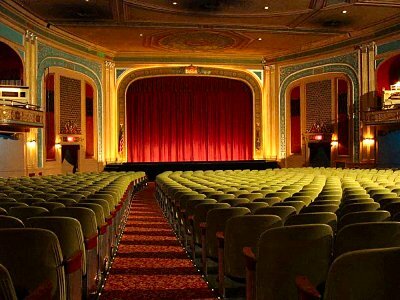 Thanks to Nelson's vision and enthusiasm, the Lafayette is again a downtown movie palace and remains the crown jewel of Rockland County. While continuing to run first-run films every day, the Lafayette also runs innovative programming to keep up with the changing tastes in entertainment. The Lafayette Theatre viewed from the street. A weekly series of classic film presentations began in the spring of 2003, taking place on Saturday mornings, bringing in hundreds of film buffs every week. 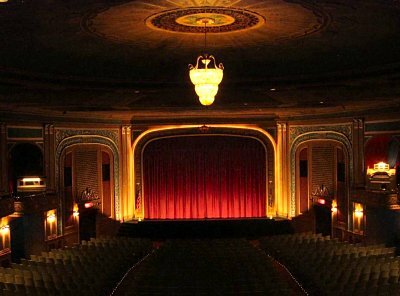 The future is bright at the Lafayette, combining first-run movies, film festivals, special events, and live entertainment. 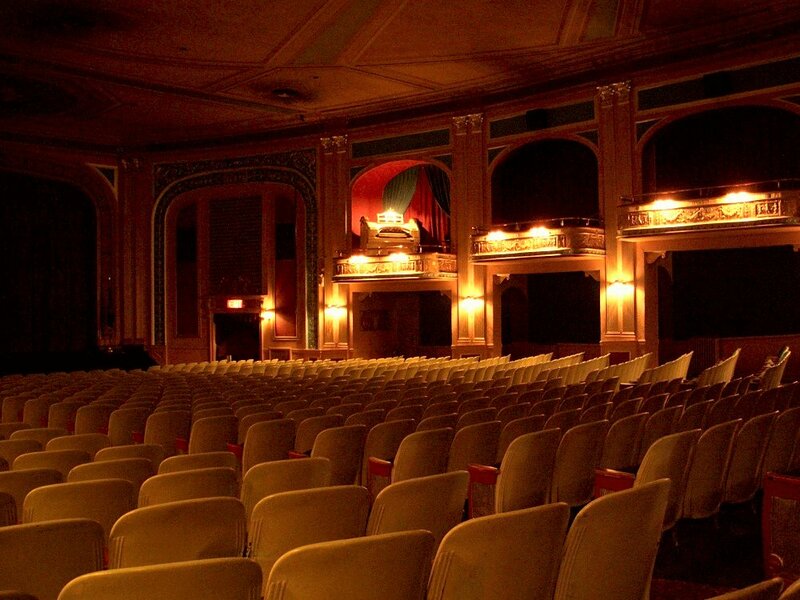 The Lafayette Theatre, better than ever after 80 years! 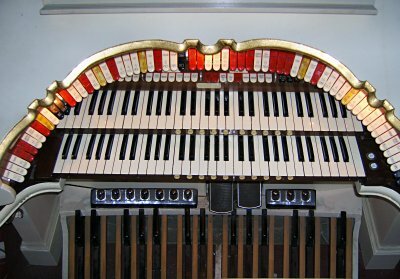 Eugene Hayek has posted several nice videos on YouTube featuring performances on the 2/11 Mighty WurliTzer Theatre Pipe Organ installed at the Lafayette Theatre in Suffren, New York. In some of these, he is accompanied by the highly talented AIdo Palmerini on Tener Saxophone. Mighty 2/11 WurliTzer Theatre Pipe Organ. Eugene Hayek sent in some recordings he made on the magnificent 2/11 Mighty WurliTzer Theatre Pipe Organ installed at the Lafayette Theatre in Suffurn, New York. This is perhaps one of the finest two manual WurliTzers in the country. Though it only has one chamber, the sound is incredible, with unlimited bass in the Pedal. Playing time = 2:38, file size = 2.43 MB, bit rate = 128KB/sec. Playing time = 2:36, file size = 2.41MB, bit rate = 128KB/sec. Playing time = 2:49, file size = 2.60MB, bit rate = 128KB/sec. Playing time = 1:31, file size = 1.41MB, bit rate = 128KB/sec. Playing time = 3:12, file size = 2.95MB, bit rate = 128KB/sec. Playing time = 3:16, file size = 3.03MB, bit rate = 128KB/sec. Playing time = 1:45, file size = 1.62MB, bit rate = 128KB/sec. Playing time = 3:14, file size = 2.99MB, bit rate = 128KB/sec. Playing time = 2:25, file size = 2.24MB, bit rate = 128KB/sec. Playing time = 2:22, file size = 2.18MB, bit rate = 128KB/sec.